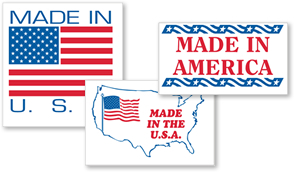 Show off your American products with Made in the USA Labels. A variety of graphics in red, white, and blue showcase domestic materials and production. 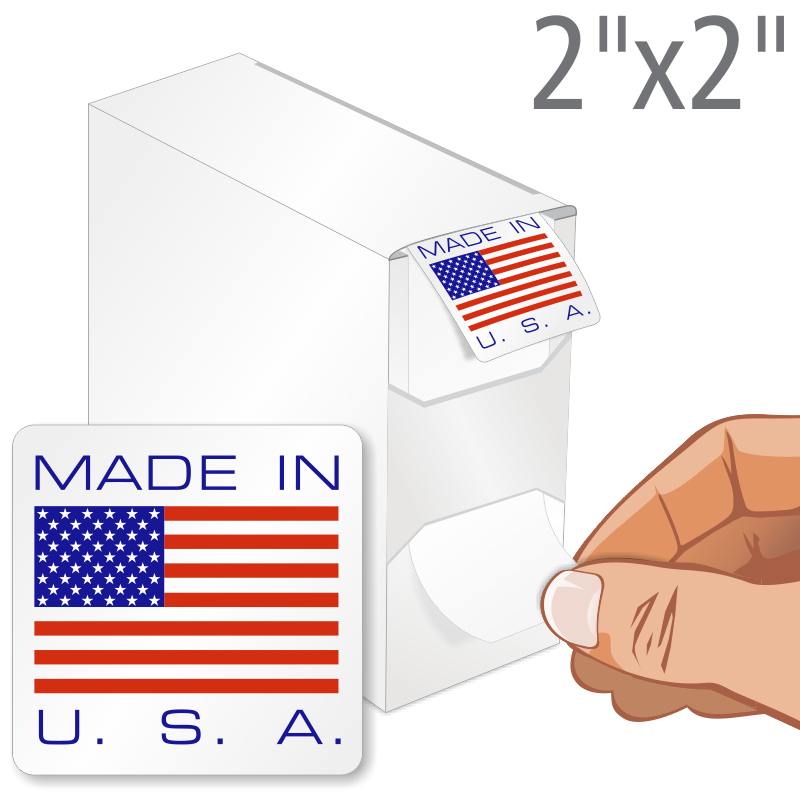 • Paper labels are available on rolls, with a peel-off liner for quick application. • Widely used in shipping, our premium quality stickers are highly durable and resistant to weather, abrasions, and temperature. 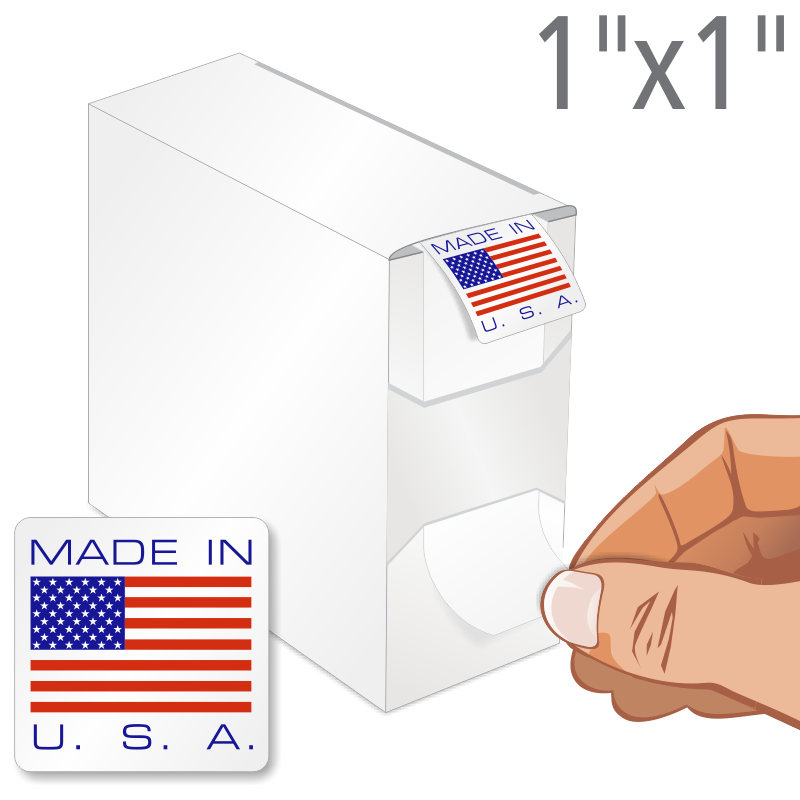 • Also, our handy Grab-a-Label dispenser box helps you label your products with ease and pride.